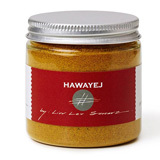 May’s Sandy Spice, Hawayej, is an Yemenite inspired blend of aromatic turmeric, cumin, and black pepper. 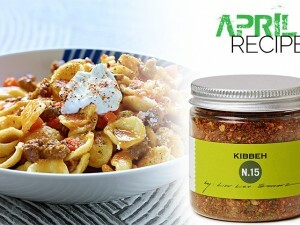 This spice is amazing in stews and perfect for elevating the flavor of roasted vegetables. 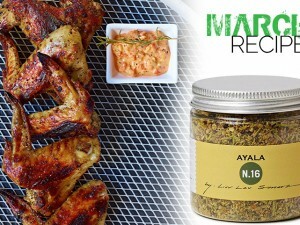 You can also blend with olive oil and yogurt and use as a marinade for grilled chicken. 1. 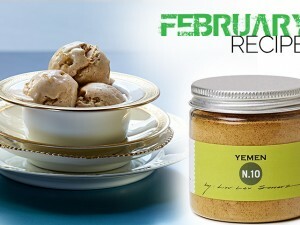 In a medium saucepan, heat ¼ cup of the oil. Add the couscous and toast over low heat until lightly browned, about 4 minutes. Stir in the stock. Season with salt and pepper, bring to a simmer, cover and cook over low heat, stirring once or twice, until the couscous is tender, about 8 minutes. Transfer to a large bowl. 2. Prepare a medium-hot grill or heat a grill pan over medium-high heat. In a mixing bowl, toss the asparagus, haricots verts and zucchini with 3 tablespoons of the oil, 1 tablespoon of Hawayej spice blend and a pinch of salt and pepper. Grill the vegetables, turning once, until crisp-tender. (You can grill the vegetables all at once over a grill or individually on a grill pan). Transfer to a cutting board and, when cool enough to handle, cut the asparagus into thirds, the haricots verts in half and the zucchini into ½-inch chunks. 3. 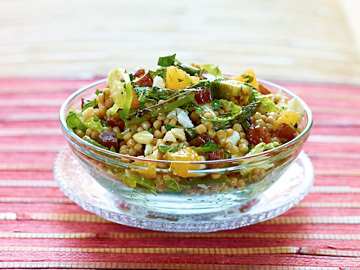 Add the Brussels sprouts and grilled vegetables to the bowl with the couscous. Add the dates, oranges, almonds, lemon juice, herbs, the remaining tablespoon of oil and the remaining 1½ teaspoons of Hawayej and toss gently. 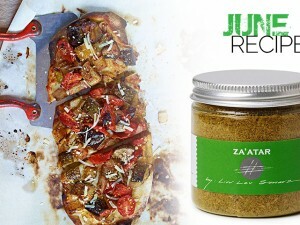 Adjust the seasoning, sprinkle with the feta cheese and serve cold or at room temperature. 1. Simmer carrot slices with honey and hawayej, then sauté until golden. 2. 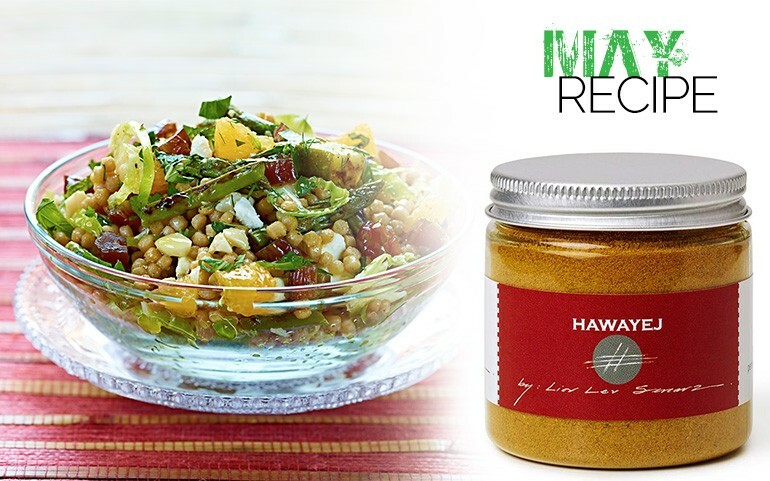 Roast pumpkin cubes with hawayej, then incorporate into a bread pudding or fattoush salad.